It would seem that there is a standard idea of what “going to the doctor” is. This standard idea looks something like this: If we get sick, or if we are just going in for our regular “checkup” we make an appointment with the clinic, the doctor has a look at the chart, pokes and prods at us, maybe shines a light in our eyes, and then tells us what pills to take and says that we should “diet and exercise”. There isn’t much education given and a lot of times, people will take this advice as unquestioning truth without really knowing the whole truth. Doctors have become idealized heroes, who should never be doubted. We only have to turn on the TV most nights and we’ll see it in shows like Grey’s Anatomy or Rosewood. This kind of drama can be great to watch, and indeed there is certainly a place for it, but the “standard idea” of what medicine is can actually be limiting to your health. Growing up, I had a very similar view of medicine. I come from a family who had many medical professionals in it. My mother was a nurse, my sister, Jojo, is a nurse and my brother, Jim, works in a trauma hospital doing all kinds of medical imaging. Our closest neighbors whom we called Aunt Rene and Aunt Dorothy were also nurses working with my mother at Martin Luther Hospital in Anaheim CA. I was lucky enough to grow up sitting around the kitchen table listening to the stories of what happened in the hospital in the previous week. Mom, Jojo, Jim, Aunt Rene and Aunt Dorothy would have many cups of coffee while relaying their experiences about auto accidents, traumas, and various patients. It was like having my very own primetime television show to listen to. My plan going into college was to become a nurse, just like my mom and my sister. It wasn’t until my first adjustment, when I was 19 and pregnant with my first child, that I had my view point shifted. After that, I decided to become a chiropractor, and went to Chiropractic College, where I learned just how amazing and intricate the body can be. Our bodies start off as one single cell, and then turn into an amazing machine with everything in just the right place. The liver, for example, has at least 40 different types of cells all contain in the same place because the body “knows” where to put them and keep them. This is why we don’t find brain cells in the kidneys. Chiropractors call this knowing “Innate intelligence”. Think of a piece of paper: if the paper is torn, then the paper will always be torn. You can glue it or tape it, but it will never be whole again. When the skin is torn in a cut or a scrape the body puts itself back together again, becomes whole again, and it does so without being told. The reason it does this is because the body likes to maintain the status quo, or as doctors call it: homeostasis. The body does many things to keep itself in homeostasis: it protects itself from invaders like bad bacteria and viruses, it repairs damaged cells, it replaces dead cells, and it is self-cleaning of waste and toxins, all automatically. 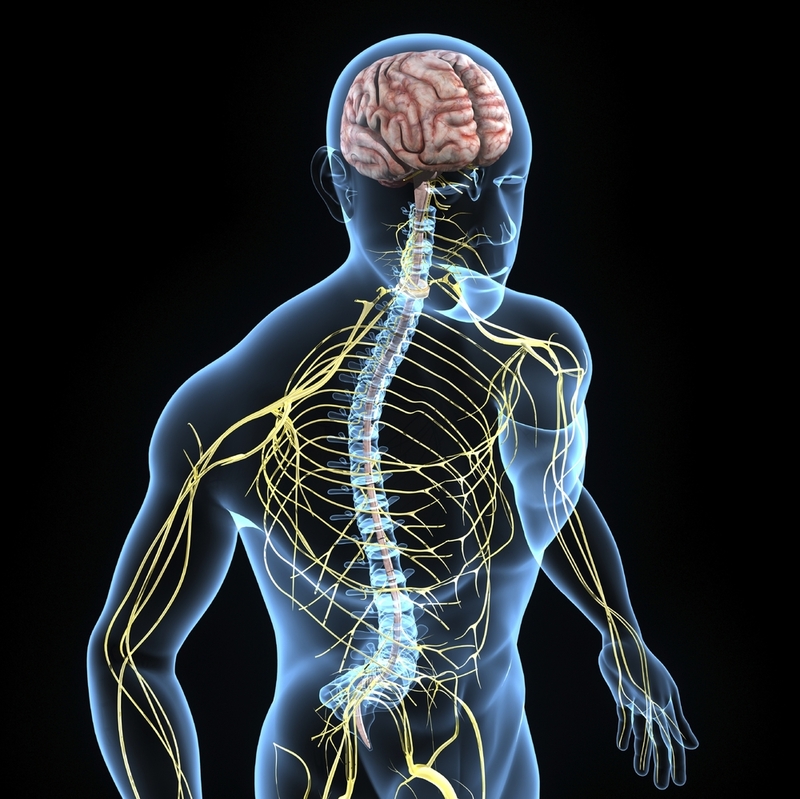 The brain controls the body by sending messages to, and receives messages from the organs via the spinal cord and nerves. The spinal cord is housed in the spine which has 24 vertebrae, a sacrum, and coccyx. All of these segments can each move individually giving us the ability to bend and twist in our daily activity. Because we have this freedom of motion, inherently there is a possibility for the joints to move out of their proper position, putting pressure on the nerves. Chiropractors call this a subluxation. (Pronounced; sub-luks-a-shun) A feathers weight of pressure on a nerve will diminish the capacity of the nerve 60%. That is like turning down a 100 watt bulb down to 40. After a while of having the nerve flow turned down, the organ where that nerve goes to will have diminished capacity. The organ will not work with ease anymore; this is called “DIS-EASE”. Chiropractic was discovered by Dr. D. D. Palmer in 1895. His patient Harvey Lillard had fallen down on the ground and at the same instant his hearing went away. Dr. Palmer did an examination on him and touched Harvey’s back. There was a bone that was not in the right place. So Dr. Palmer proceeded to push the bone back to where it belonged. When he did so, Harvey’s hearing came back. This is how the first chiropractic adjustment occurred. In an emergency and in life saving situations, the medical community excels. They do their jobs extremely well and they are caring, committed people. I am extremely glad they are there when there is an emergency. In general, however, when you go to a doctor they give you prescriptions or procedures and in worse case scenarios, surgery. In a medical journal it said, “There is no medication that will rebuild the cells of the body.” Medicine just covers up symptoms; it does not get to the source of the disease. Sometimes you have to take one medicine to help alleviate the side effects from the first medicine. Not to mention EVERY drug has a side effect, even too much aspirin or ibuprofen causes liver and kidney disease if taken too long. Our own bodies are the foremost expert at repairing our cells. We must trust the “knowing” that is within us. For prevention of disease and true “Health” care, there is no better care than chiropractic. Chiropractic care does not do the healing; the body does its own healing. Chiropractors take the interference off the nerves because they are specially trained to find and fix these subluxations. When a body is free of nerve interference it expresses vitality, energy and strength. If you have questions about chiropractic care, about how long chiropractors have to go to school to become experts in finding and fixing subluxations, or you just want to ask about your own health, please contact the office any time by calling (707)455-8655, emailing us at drdemaray@hotmail.com or coming by the clinic at 805 N. Lincoln Street, Suite E, Dixon CA 95620.